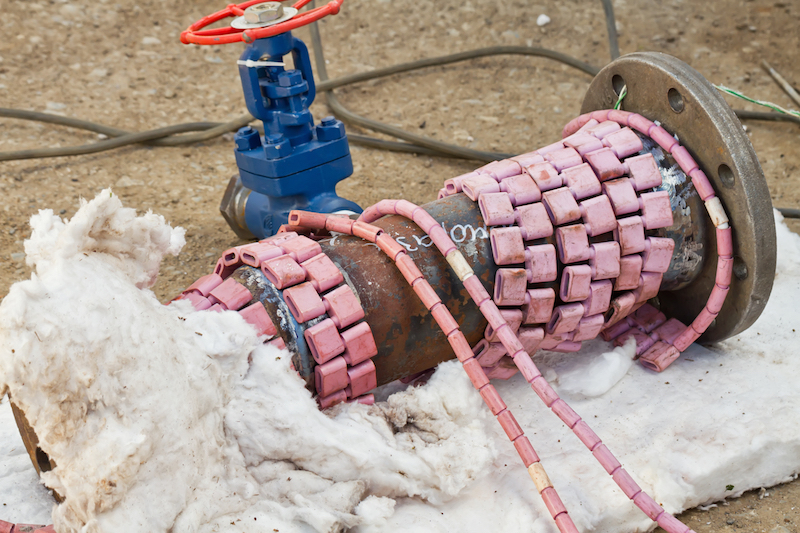 EHS engineers, designs, and manufactures proven heat treatment systems to effectively complete any project more efficiently than competitive systems, while staying within any budget. Years of application experience and successful installations have produced thousands of happy customers. A focus on customer service second to none. Hamilton, N.J., June 8, 2018 - Hotfoil-EHS, Inc., America's premier manufacturer of industrial heating equipment, announced today the opening of their United Kingdom facility in Birmingham, England. 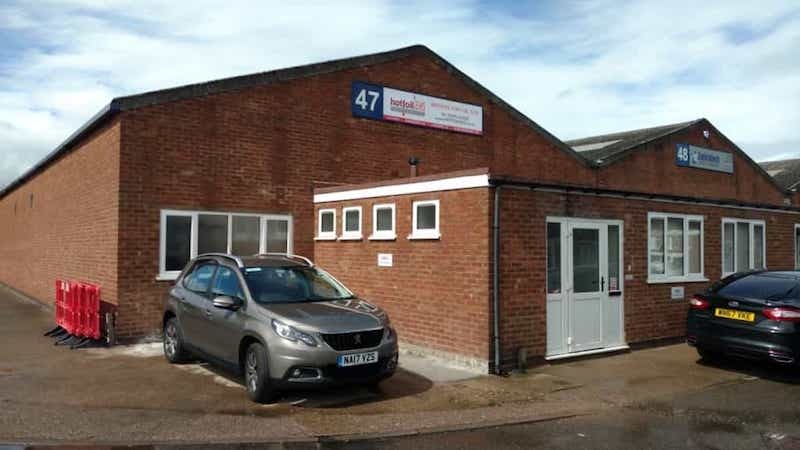 The new Hotfoil-EHS facility in Birmingham will provide the UK with a large local inventory of power consoles, recorders, ceramic heaters, and a full line of accessories used for heat treatment. Hotfoil-EHS UK will also supply hopper heaters, tank heaters, vessel heaters as well as control systems. According to UK General Manager David Robbins, “The opportunity to introduce such a high quality product line to the UK is wonderfully exciting. I am delighted to be working with such a well established US company and progressive management team." 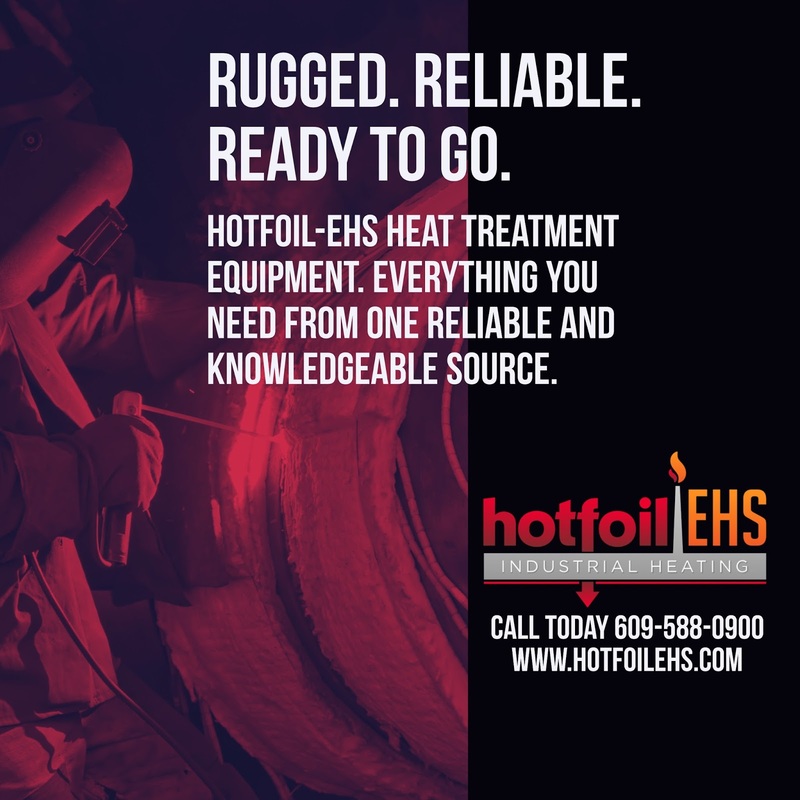 Manufacturer of America's premier heat treatment and industrial heating equipment, Hotfoil- EHS is driven by providing the highest quality products, delivering the best customer service, and keeping costs low. 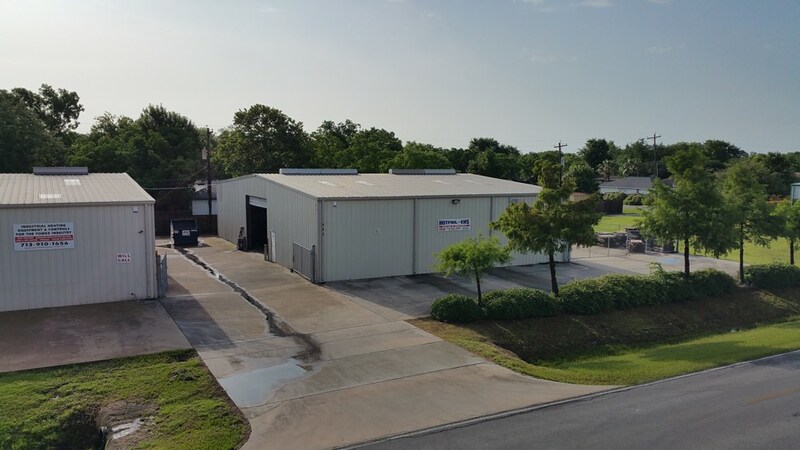 Their headquarters and main manufacturing facility is located in Hamilton, NJ and have two additional manufacturing operations in Laporte, TX and Chattanooga, TN. Heating done by ceramic heaters (pink). 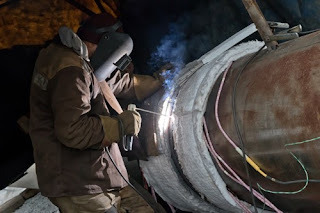 An industry standard means of accurately managing the pre-heat and post-weld heat treatment is through the use of specialized electric heaters. Electric welding preheaters, known as "ceramic mat heaters", are rugged and flexible heating elements designed so that they conform uniformly around the weld and surrounding area. Ceramic mat heaters are normally controlled by a power console that uses thermocouples and electronic controllers to regulate, monitor, and many times record, the preheat temperature profile. Ceramic heaters on spool piece. Welding codes, gathered from years of rigorously tested data, including metallurgical science, chemical properties of materials, and radiographic analysis, provide specific detail on the minimum preheat temperature, the soak time, and the welding process to be used. Before deciding to preheat or post heat any welding job, consult with a heat treating expert to make sure proper welding code requirements are being followed. Hotfoil has a long, established history of product innovation and quality. Since its founding in the United Kingdom in the mid 1960’s, the company has gone through several changes in ownership and management. In 1993, my father, Neville Richards, and I took ownership of Hotfoil, Inc. 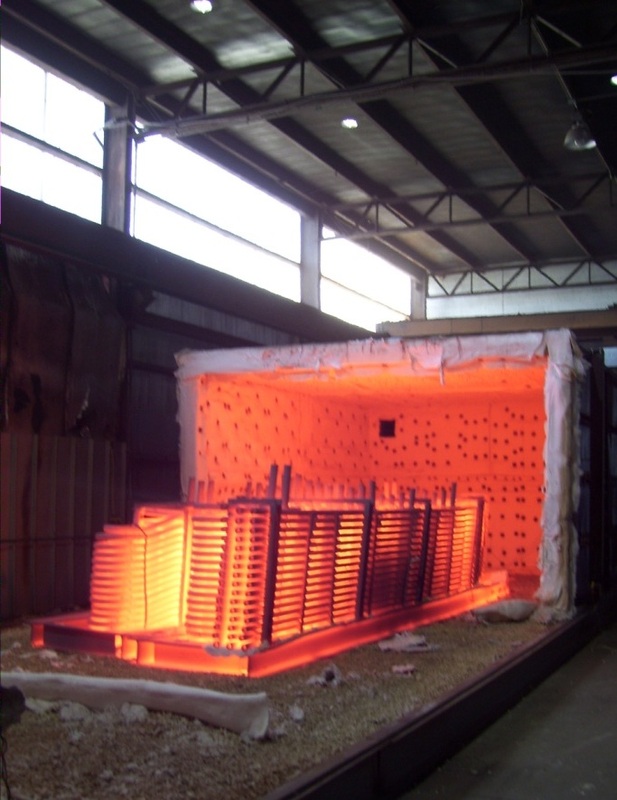 In 1996, Electric Heating Systems (EHS) was formed to provide equipment to the heat treating industry. In 2007, we recognized the value of producing our own transformers, both for internal needs as well as external sales. Soon after, a welding equipment and transformer manufacturer named AFTek was acquired. AFTek-EHS operates today in Chattanooga, TN. In 2010, HeatandWeld.com was launched as the e-commerce division of Hotfoil and EHS, selling our line of heaters, controls, and heat treating consumables. In 2012, Hotfoil and EHS merged into a new entity appropriately named Hotfoil-EHS, Inc. The merger produced an organization with over 70 employees and an impressive engineering capability. Through continued re-investment of profits, Hotfoil-EHS subsequently acquired additional large fabrication facilities and assets, resulting in expansive facilities that include laser cutters, CNC machines, sheet metal breaks, Bridgeport milling machines, rollers and welding machines. 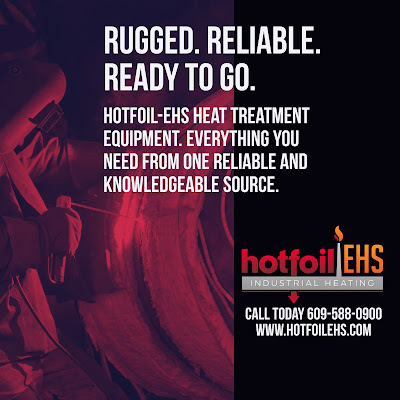 Today, Hotfoil-EHS is a full-service engineering, design, and manufacturing company for any type of industrial heating requirement. 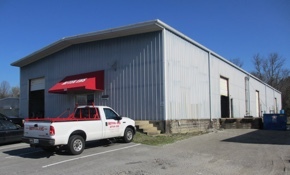 From what started in 1993 as a humble 800-square-feet facility in a commercial office building, has grown to a total of 68,000-square-feet of manufacturing space located in Hamilton, NJ, Chatanooga, TN, and LaPorte, TX. In 2018, Hotfoil-EHS will open it’s first international location with the launch of a new Birmingham, England facility. ICE STAR manufactures fully digital heat precise and reliable treatment controllers. 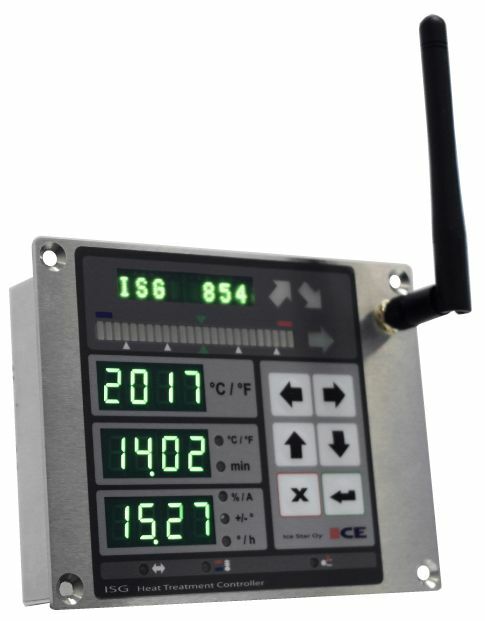 The ICE STAR controllers ISQ and ISC have from 6 to 12 controlling thermocouple's and up to 36 monitoring thermocouple's. More measurement points are available by connecting up to 14 controllers to each other wirelessly or with cables. The controllers are designed for any kind of heat treatment consoles and furnaces, and can be mounted inside or to front panel. Hotfoil-EHS is the North America representative for ICE STAR. For more information, visit https://hotfoilehs/icestar or call 609.588.0900. The ISG heat treat controller. The ISG heat treatment controller is a panel-mounted controller which can easily be connected to thyristor, electrical contactor, or induction/inverter driven power sources. The controller has 2 analog outputs, 5 digital outputs, 2 analog inputs and 2 digital inputs. The ISG is capable of controlling two measurement points and monitoring two measurement points. If more measuring points are required, up to 14 controllers can be daisy-chained to the same heating process via cables or wireless, while all being managed from a single computer. The ISG communicates with PC's via Zigbee radio or with an RS485 Serial port. All routines or process plans are created with ISPort software. After the process is started, the routine and the process data is saved to the PC, and also to the controller's memory. This enables the controller to work independently should the connection between ISG and computer be lost. The ISG includes a convenient LED process display and additional process status and alarm LED's. For more information on the ISG heat treatment controller, visit http://www.hotfoilehs.com or call 609.588.0900.